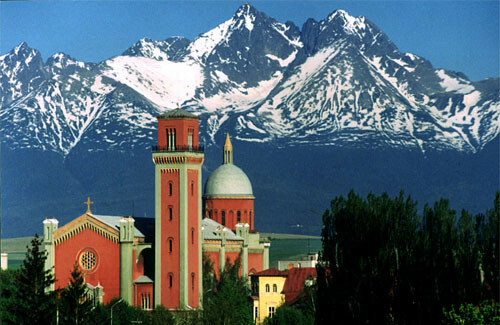 Traditional villages of Zamagurie and Tatras are a showcase of folk architecture. Walking through villages you can admire colorful and heavily decorated wooden houses and occasionally locals dressed in folk costumes going to the church or a folklore festival. Ždiar belongs to the jewels of Slovakia. It is a typical Tatran village with its traditions, customs, and folklore. Life, customs, and housing of Ždiar people can be seen at the local museum. 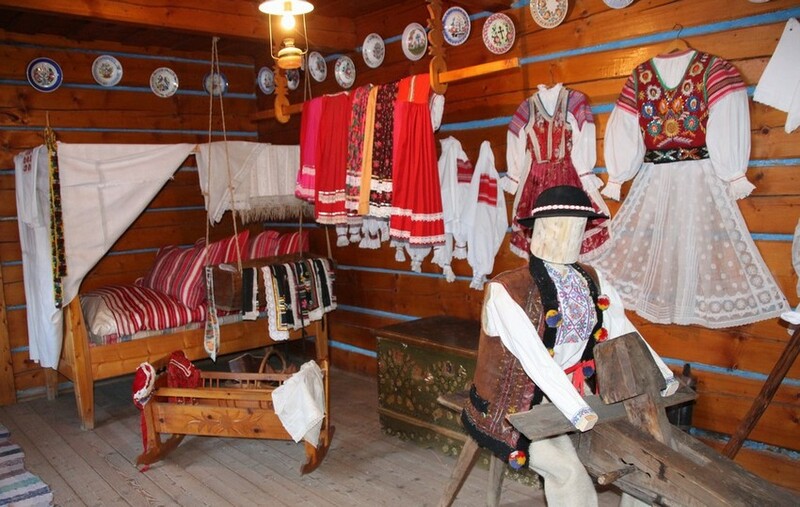 In addition to interesting stories told by the museum’s administrator dressed in a traditional costume, visitors can experience Ždiar wedding and dress up in a costume. Accompanying attractions include horse riding, local specialties tasting, or you can enjoy Goral music tones. 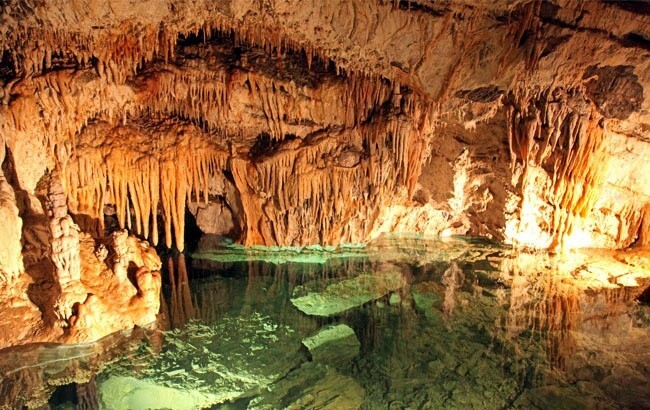 In Tatranská Basin you have the opportunity to visit the unique Belianska Cave – the largest and only accessible cave in the Tatra National Park. The sightseeing circuit is 1,370 meters long with an elevation of 125 meters and 860 steps. Monkova Valley is located in the National Nature Reserve Belianske Tatry. 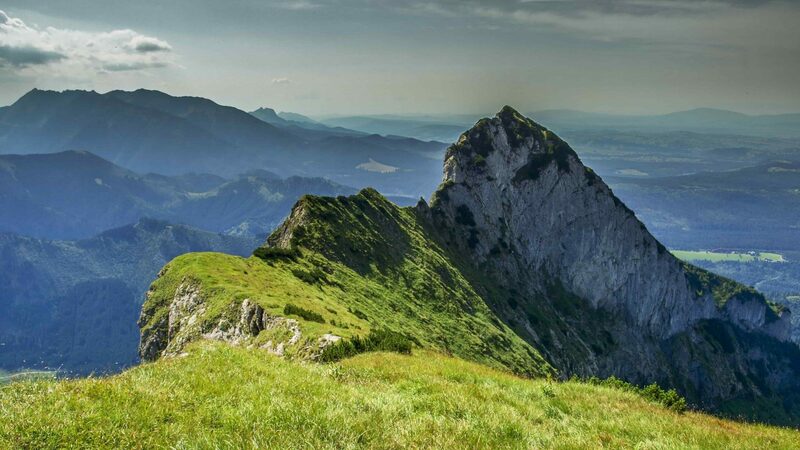 It is only available during the summer season and is one of the two accessible valleys in the Belianske Tatry. The Valley leads between Ždiarska vidla (2,141m) and Hlupy vrch (2,060m). The starting point is Ždiar, from there the valley goes through Široké sedlo (1,825m), to the Kopské sedlo (1,750m) and from there you can go down to the valley of Zelené pleso or Biela voda. The museum displays the lifework of J. M. Petzval with an overview of the development of optical imaging up to the first image that in the 19th century became known as a photography. There are also photocopies of the most famous lens’ price calculation, metal camera used for daguerreotype photos, Petzval lens and other valuable results of his works. 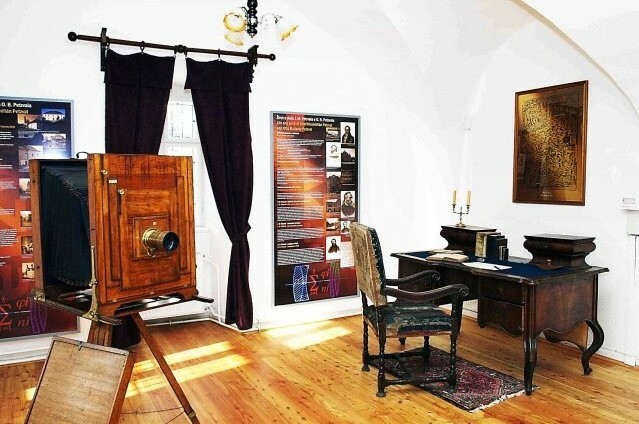 The Museum of Michael Greisiger presents the life and activities of the polyhistorian and town doctor from Spišská Belá together with the history and ethnographic specifics of the town. While working as a town doctor, Greisiger keenly examined Spiš flora and fauna and did some archaeological research in the region. 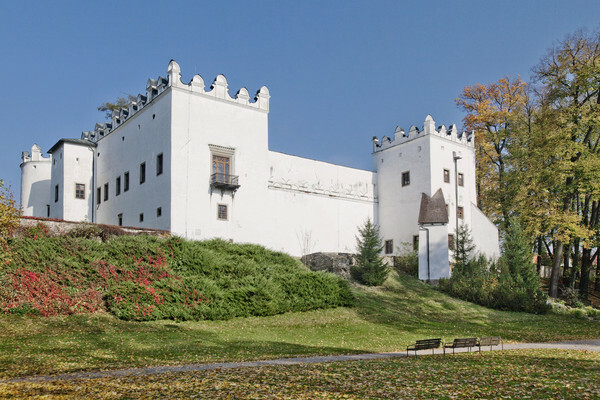 After the death of the last owner in 1972, the manor house’s administrator became the Slovak National Gallery. The permanent exhibition shows the work of Ladislav Mednyánsky, historical library collection, and manor house’ furniture. Today, the manor house organizes various cultural programs and The Manor House Games. The extensive area of the manor house and the adjacent English park ending in the Poprad river offers its visitors a pleasant relaxation. This national cultural monument, officially Lechnický monastery, is situated in the picturesque place where Lipník meets Dunajec in Peniny. The monastery originally served to the Carthusian Order, later Camadul monks. 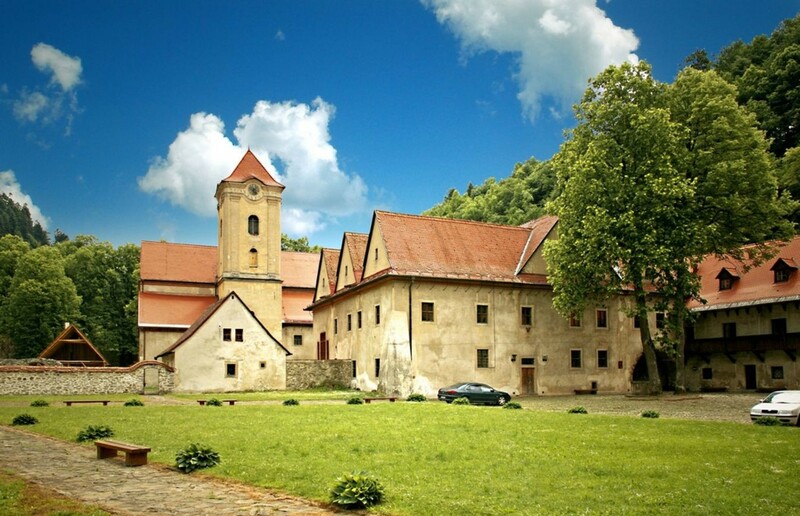 The museum exhibition presents the history and monastic life of the mentioned orders together with rare monuments not only from Červený Kláštor but also from all over the North Spiš. The museum features the work of the famous “fyling” monk Cyprian. The first bath spa restored after the war and currently the most modern in Slovakia is located in the middle of gorgeous Pieniny. Unique natural healing mineral water “Smerdžonka” is thanks to its composition rich in minerals and hydrogen sulfide beneficial in the treatment of skin diseases, musculoskeletal diseases, and neurological diseases. Thanks to clean air and exceptional climate, the spa has been given the status of a climate spa. In addition to mineral baths and saunas, an outdoor swimming pool with counterflow is open during summer month. 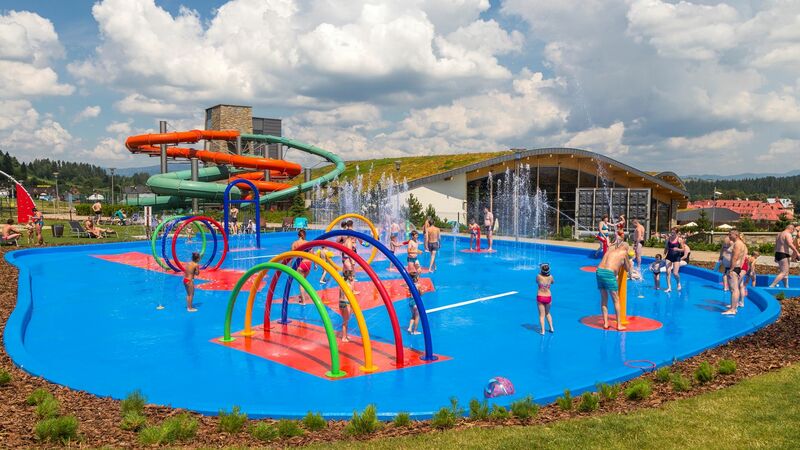 Thermal park Vrbov is located in the village Vrbov close to Kežmarok. 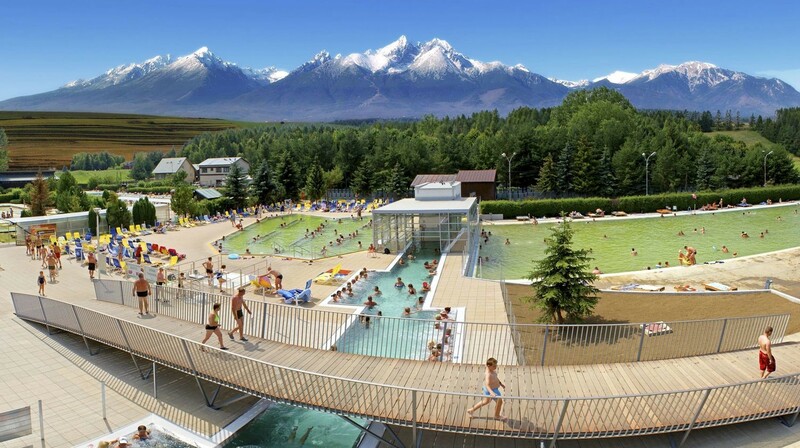 It is open year-round and offers visitors swimming in ten swimming pools (including four children) powered by natural geothermal water full of beneficial minerals (26 °C – 38 °C). The water composition is the richest of all known mineral water in Slovakia and the Central Europe. The water has extraordinary healing effects on the musculoskeletal system, skin, respiratory and cardiovascular system. The Thermal park features the first mini dinosaur park in Slovakia. The thermal swimming pool in nearby Bialka offers plenty of pools and water attractions for the whole family. The swimming pool area is divided into a fun zone with water slides and water attractions, a relaxation zone with sitting pools and massage jets and a large sauna area. In summer, the resort also offers an outdoor entertainment area for children with water games and slides. The thermal swimming pool in Bukowina Tatrzanska, Poland, offers water sports, water slides, saunas and relaxation pools on three floors throughout the whole year. 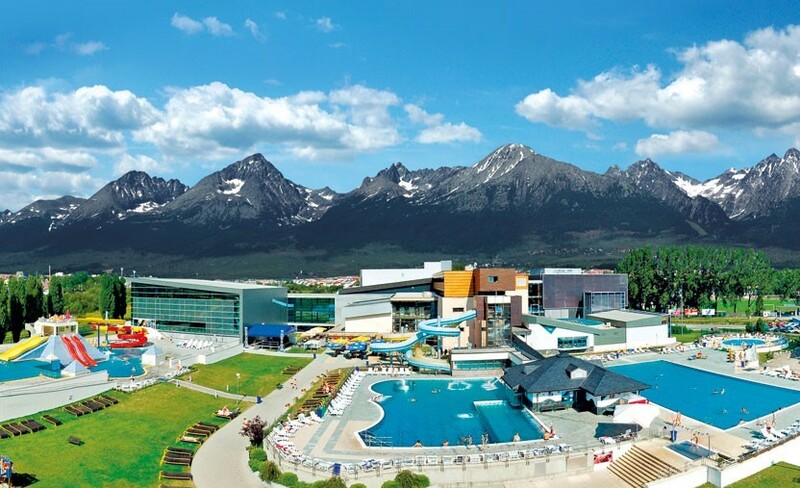 The water resort is located directly in Poprad under the High Tatras. Visitors can enjoy 13 thermal and relaxation pools and 350 water attractions or relax in a 2-story sauna world Fire & Water SPA and leisure pools. Every evening in pools Blue Sapphire there is a big laser show that perfectly ends a stay in this water world. 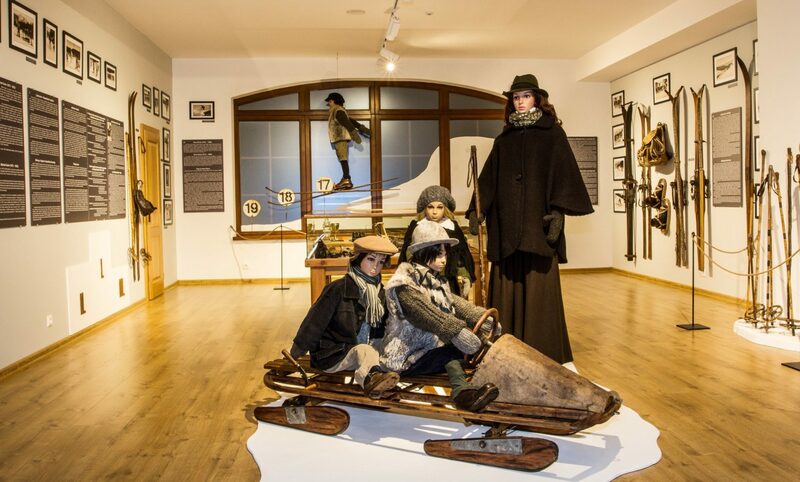 The museum is dedicated to the history, origin and development of winter sports in the High Tatras from the very beginning until 1945. The biggest attraction for visitors is 3,07 meters long ski from 1885, the exhibition of old bobsleigh and workshop for the manufacture of skis, ski poles, and ski boots. TrickLandia is a place where you will experience a unique journey through Slovakia accompanied by trick-art and optical illusions. Its interior hides attractions inspired by Slovak folk tales, fairytales as well as the facts on the villages and chateaux of Slovakia. 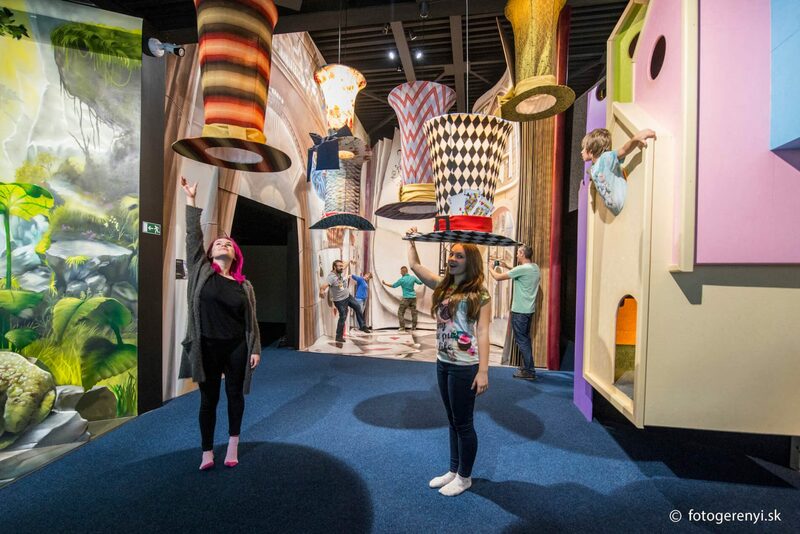 It’s area covers 500 m2 offering 24 attractions – 15 trick-art images, expanded reality, antigravity rooms, the most beautiful mirror maze in Central Europe and others. The historic royal town of Kežmarok will charm you away with a pleasant atmosphere and beautiful sights: the wooden Evangelical Church (UNESCO), the Evangelical Lyceum with the Historical School Library, the City Castle with the Museum of Historical Vehicles, the Roman Catholic Church of St. Cross with a Renaissance bell tower and the oldest alley in Kežmarok, the Old Market, with distinctive charm. Kežmarok hosts every July the International Folk Crafts Festival EĽRO – do not miss it! Walking through the ancient Levoča with the impressive Renaissance square is an experience for really demanding tourists. The square is surrounded by Renaissance houses – the most famous are Turzov, Veľký župný, Hainov, Schwabov, Máriássyho and Spillenberg houses. The center is dominated by Basilica of St. James (UNESCO) with the altar made by Master Paul and the Renaissance Town Hall with arcades and allegorical figures of the Five Powers from 1615 and the cage of shame. Inside the town hall you will find a museum with the legendary picture of Levoča‘s White Lady and a piece of her dress. At the Mariánská hora above the town you can see the Basilica of the Blessed Virgin Mary, which is the venue of the famous Levočská journey (held every year at the beginning of July) and at the same time a place to enjoy breathtaking views of Levoča. 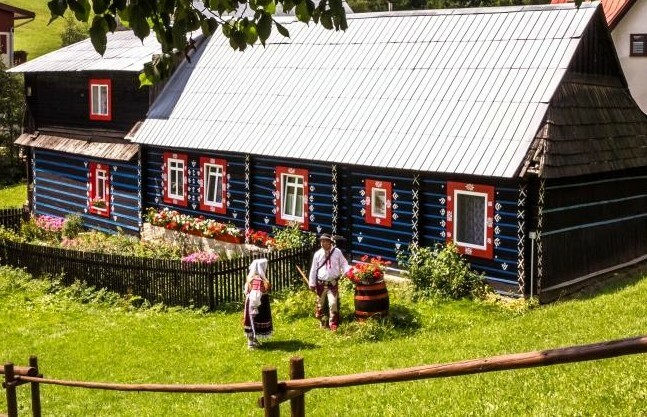 In the area of the private courtyard of the wooden house Pod grapou in the picturesque village of Malá Franková is located a unique folk museum of European importance – the Museum of Glagolitic Alphabet – Ogrod sv. Sedmopočetníkov. The area features is a replica of the first Slovak temple with a complete furniture. 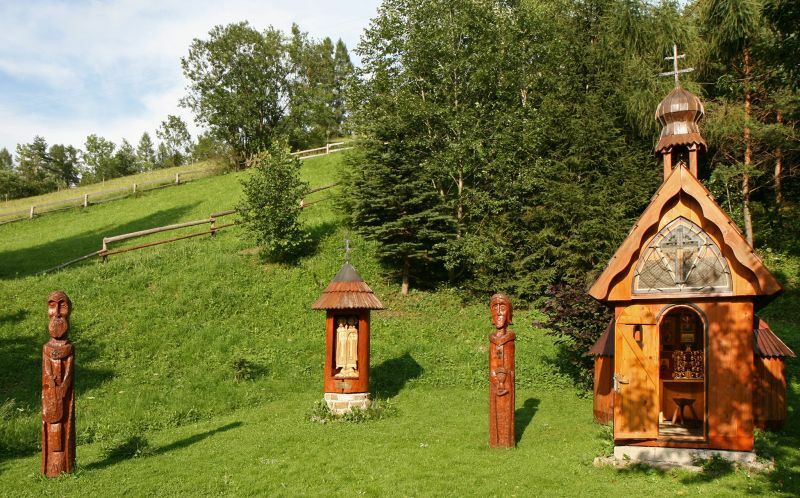 This wooden church holds the Slovak primacy – it is the smallest ordained church in Slovakia! The area is complemented by two wooden sculptures of St. Cyril and Methodius and their disciples, symbols of Glagolitic and a sandstone statue of the Byzantine Virgin Mary with Christ. The author is Donat Čarnogurský. Entry is free, and if the housekeeper is present, you can also enter the church and learn more about this unique area. In addition to having the smallest chapel in Slovakia, the village of Malá Franková still has something to offer: Malá Franková is located 750 meters above sea level, which makes it the highest settlement of Zamagurie The dominant feature of the village is the highest illuminated wooden cross in Slovakia. In the village there is the only wooden church in Zamagurie, the Church of St. Joseph.